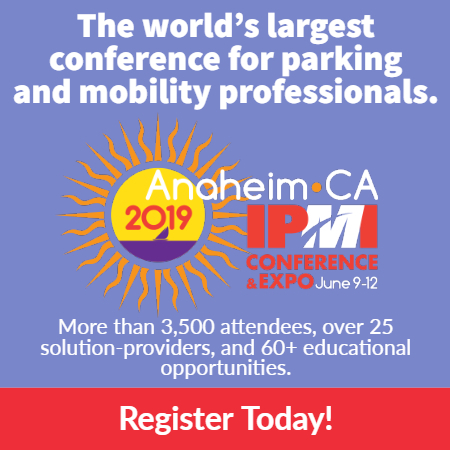 (Orlando, Fla. – June 6) The International Parking Institute (IPI) is recognizing twelve outstanding marketing and communications programs in the parking and transportation sector during the 2018 IPI Conference & Expo in Orlando, Fla. this week. The Parking Matters® Marketing and Communications Awards are designed to recognize outstanding parking-related marketing, public relations, or communications program or campaign. Eligible programs may use a wide spectrum of marketing tools, from advertising and public relations to collateral development, signage, special events, direct mail, video, and social media. Details about the programs are featured in the June issue of The Parking Professional. The Parking Matters® Marketing & Communications awards program will continue in 2019, with a call for entries being issued in September this year and a deadline for all submissions set for November 7, 2018.